The Site of Xanadu encompasses the remains of Kublai Khan's legendary summer capital of the Yuan Dynasty. Located on the route between the former Mongolian capital Karakorum and the Han center Dadu (Beijing), it shows a unique mix between Mongolian and Han Chinese traditions. It is located in the current Chinese autonomous region of Inner Mongolia. The city was built in 1256, and became summer capital in 1274. 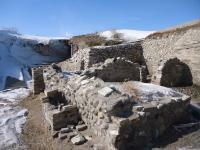 The city became an important stopping place on the silk route, receiving many foreign envoys. In 1368 it was conquered by the Ming and destroyed. 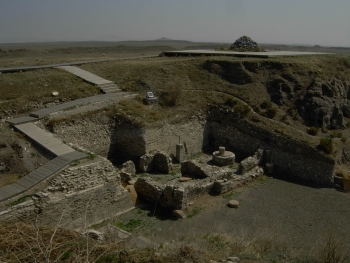 The site at the edge of the Mongolian plateau includes the former city with temples and palaces, water control works, tombs, natural features (grassland, wetland) and traditional oboo (stone cairn) shrines of the Mongolian nomads. Visited in July 2018 after Kharkhorin (Orkhon Valley WHS) in Mongolia, so I can compare and have a continuity in the history of Mongol Empire. First of all, there's no public transport connecting the site to the nearest city ZhengLanQi. The best option is to negotiate price with the taxis frequently parked in front of the bus terminal. The distance is about 20 minutes drive on good paved road. I talked to the taxi driver and found out that most of the artifacts and graves were looted openly before there were any laws to protect in 1990s. So do prepare yourself with some readings or hire a guide, or else you will just see a vast field with mounds, walls and ruins. The entrance fee is quite cheap at CNY40 compare to other major tourist sites or WHS in China. Then you have to choose to take a buggy, rent a bicycle or walk to the core zone like I did. At the time I visited in July, there are a lot of beautiful flowers along the way so I just walked and imagined the ancient life in the city. There are two gates in straight line after you walk pass the vast steppe. Imagine how the Mongols on horses enter the city after each victory in war. There is a platform in the middle of the city where the ceremonial temple used to be. And finally the elevated place where Kublai Khan's palace used to be situated. It's the place where he greeted Marco Polo and you can see the whole city structure from this place. 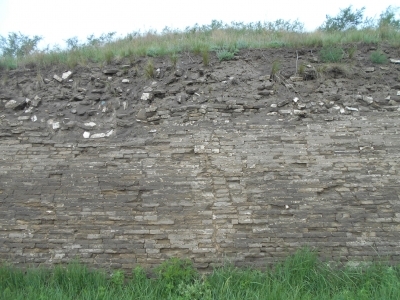 Most of the ruins and bricks at the site are in Ming era, but there's an original Yuan's era brick wall where the archaeologists cleared in 2012. But you can see that it's worn out fast after exposed to the air and bad weather. All in all, it's not an eye-catching site if you don't know the history behind it. Does it worth the effort to go there? I will give a 3.5/10. Just returned from the site (February 2013). It is not very wise to go there in winter (temperatures are currently around -16 C and it is extremely windy). But in spring, summer, or autumn it must be a lovely place. To get there you need some preparation. I was advised to go to Doulun (direct bus from Liuliqiao Long Distance Bus Station in Beijing, 8 hours). In Doulun you should hire a taxi to take you to the spot but it is not easy. The roads are very bad and you will encounter some language problems. Xanadu (or Chinese Shang-du) is also a name of modern town which lies some 20 km from the site of Xanadu. Be sure that your driver knows where to go, otherwise he will probably drive you to Shang-du town.